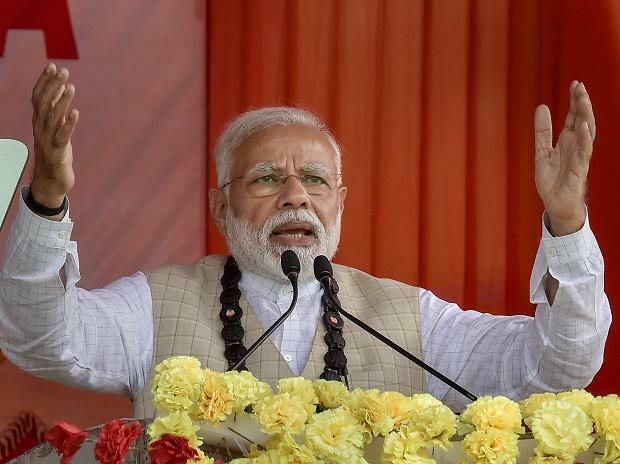 The country's informal and formal economies are creating jobs, said Prime Minister Narendra Modi on Thursday, rejecting criticism that he has failed to create employment — a key promise of his government. Modi told Parliament that professionals like chartered accountants (CAs), cab aggregators and transporters were creating jobs. "In the last four years, 6.35 lakh (635,000) new professionals have come up. You think if a doctor opens a clinic or a nursing home then he will employ only one person? Or does a CA only employ one person? No," he said. "If we talk about the informal economy, in the transport sector, 36 lakh (3.6 million) commercial vehicles, 1.5 crore (15 million) passenger vehicles, and 27 lakh (2.7 million) new autos were bought. Have the vehicles just been parked as showpieces," he said. "There has been a huge rise in taxi aggregator services. Do you think there were no new jobs and vehicles are driver-less?" In 15 months till November 2018, as many as 18 million people got enrolled in the Employees Provident Fund for the first time. Of these 64 per cent were below 28 years of age. As many as 65 lakh employees were part of the NPS (National Pension Scheme) system in 2014 which has increased to 1.2 crore by October 2018, news agency PTI quoted Modi as saying. "Isn't this indication of job creation," he said, citing 6.35 lakh new professionals filing income tax returns in the last four years. Modi, while replying to the debate on Motion of Thanks to the President's address to Parliament, said the informal sector accounts for 85-90 per cent but the formal sector provides only 10-15 per cent employment in the country. India's economy has been expanding by seven per cent plus annually, but uneven growth has meant that new jobs are not keeping pace. And critics say the government's claims of economic success have sounded increasingly hollow. Finance Minister Piyush Goyal on February 1 presented an interim budget — the last of his government — that poured extra money into support for farmers and a tax cut for low-income workers, but that came at a cost, with the country letting its fiscal deficit targets slip this year and next.